Singing is a big part of our daily activities. 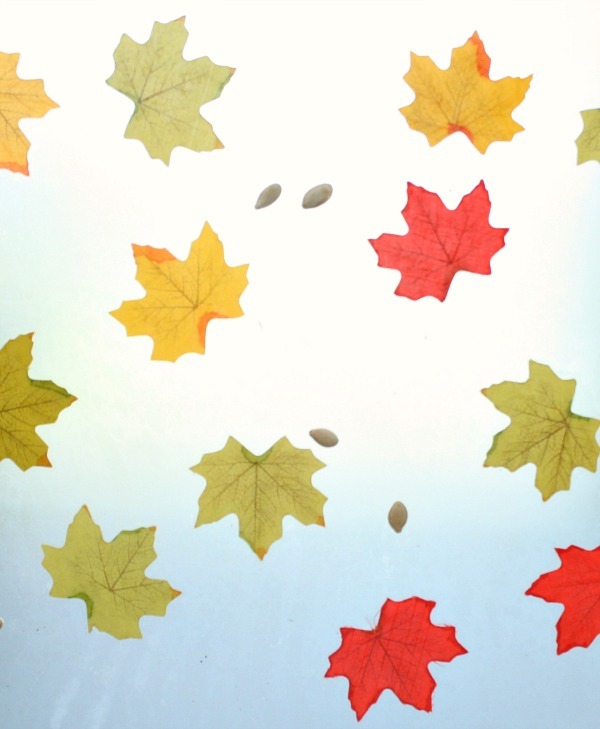 A simple preschool fall songs inspired us to create some “falling” leaf art. We also incorporated a little bit of science along the way. 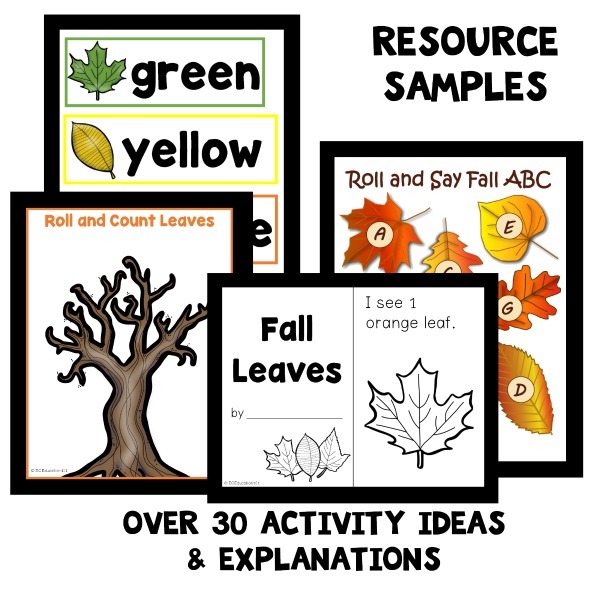 To set up the activity I peeled the backing off of large sheets of Con-Tact Paper (affiliate link) and taped them sticky side up on the ground. 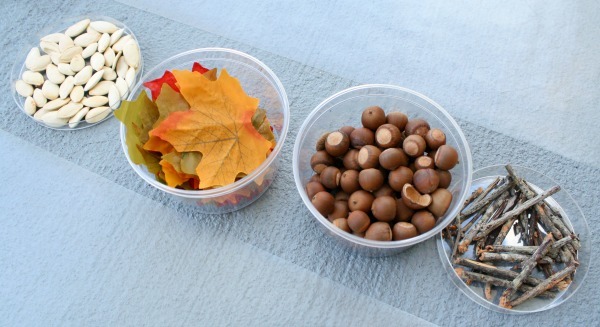 Then I set out some fall materials~leaves, small twigs, pumpkin seeds, and acorns. Use anything you like. 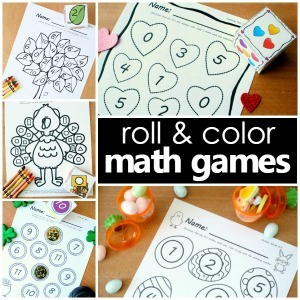 Not everything will stick to the paper, but that’s where the science lesson comes in! You may also choose whether to use real leaves or not. Since those gorgeous real fall leaves don’t fall where we live I chose to use some that we bought from Dollar Tree a while back. 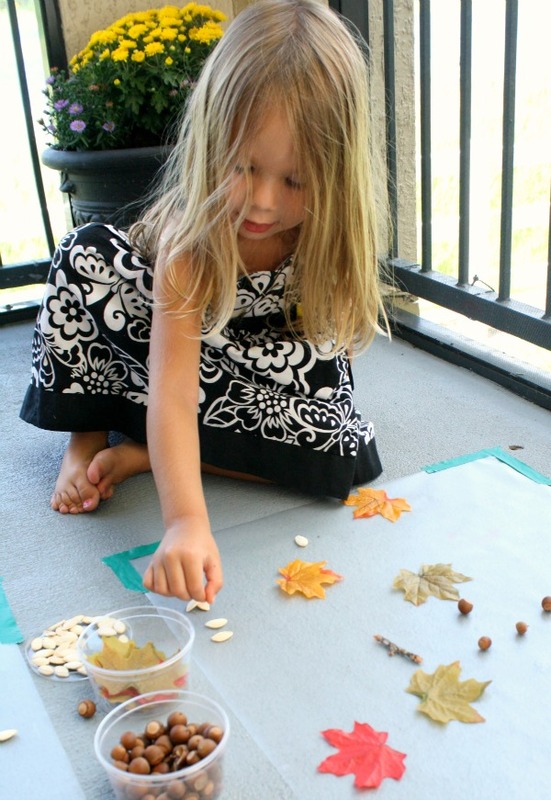 If you do use real leaves, you might have the added sensory play of crunching up some of those leaves to scatter over the canvas. Before creating our art we practiced singing and dancing to this simple song. It’s one that I’ve been singing in the classroom for years, but I’m not quite sure who to credit as the author. Let me know if you do! After singing we talked about what makes the leaves fall down to the ground. We discussed how gravity is a force that pulls things toward earth. We also discussed whether the girls thought all of the items would stick to the paper and made predictions about which objects might fall off onto the floor when we lifted our paper up at the end. This was another way to incorporate science discussions as we talked about weight. 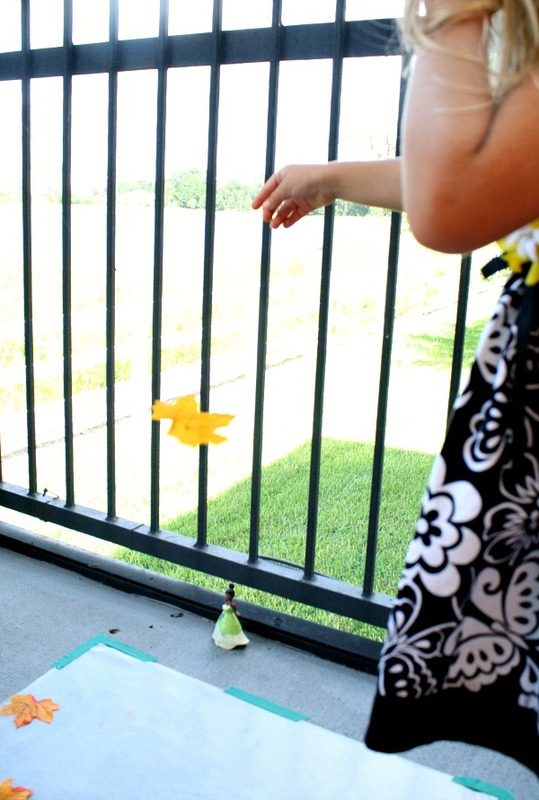 Then it was time test gravity and our predictions by letting our leaves and other fall items go. 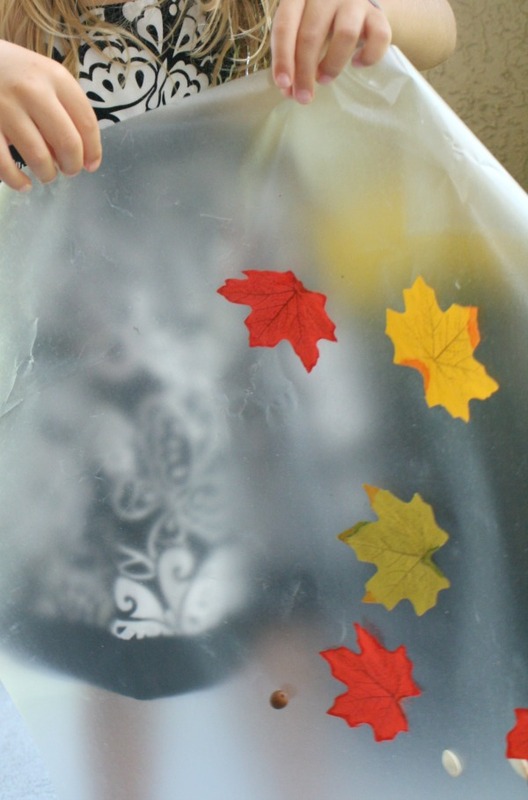 Eventually Tinker couldn’t resist the call of the delightfully sticky contact paper, and she sat down to add her own personal touches to her art creation. When both girls were satisfied with their creations we took pictures of them so we could compare the before and after of the next step. Again we discussed what we thought would happen when we lifted the contact paper off of the ground. 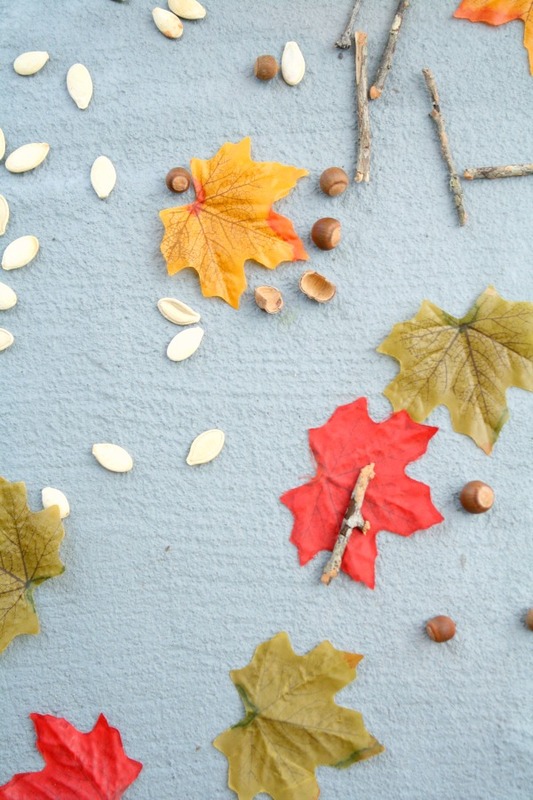 As the girls predicted the twigs and acorns fell to the ground almost immediately, but they were surprised to see that many of the pumpkins seeds stayed on the paper. 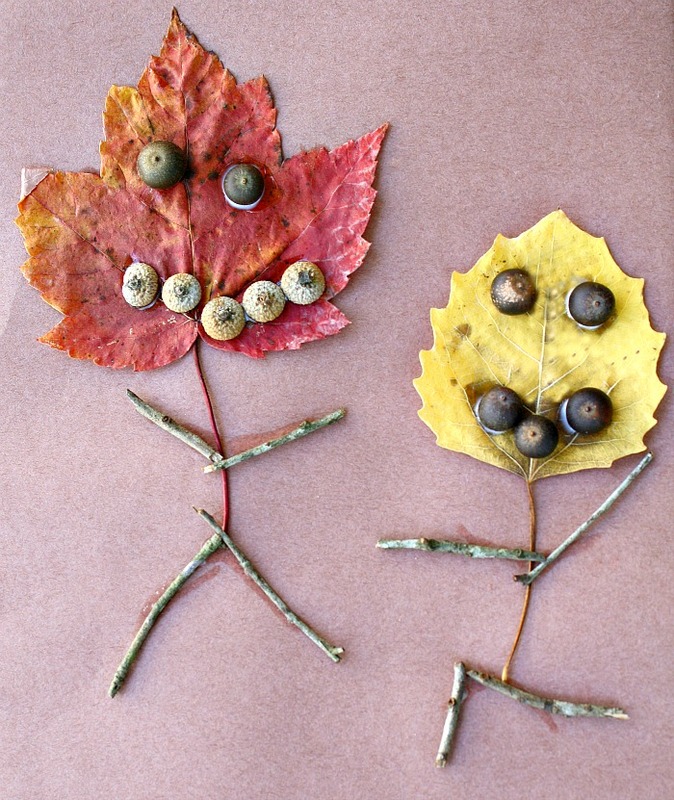 They both wanted to add more leaves now that they were sure the leaves were going to stick. Then we found a bright window to hang their creations in. 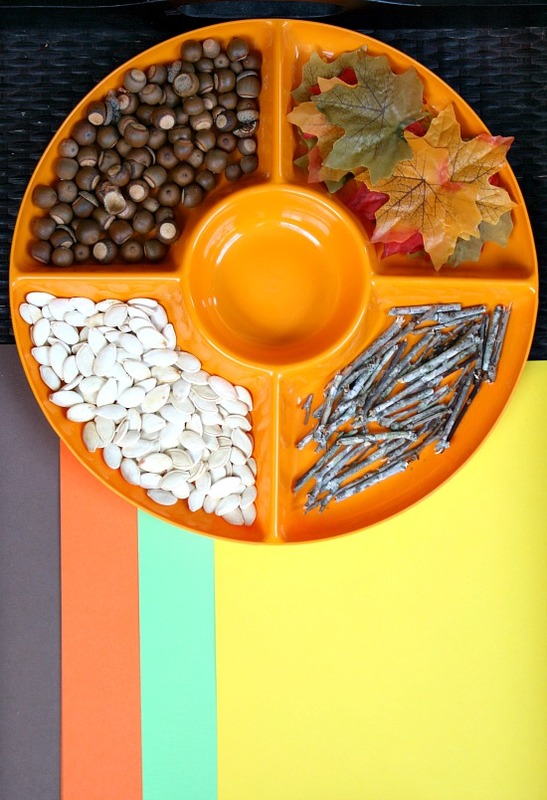 While you’ve got all of these fall items out, why not try some more sensory play and art activities? 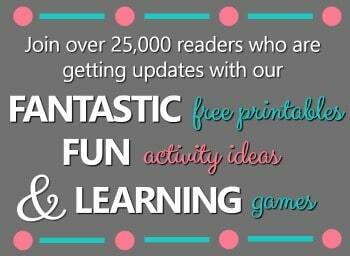 Thank you, Shaunna!! I loved it!! My 2 students and I are exploring nature. Great idea!! Wonderful! I love the art and science involved. I featured this today on Saturday Science! 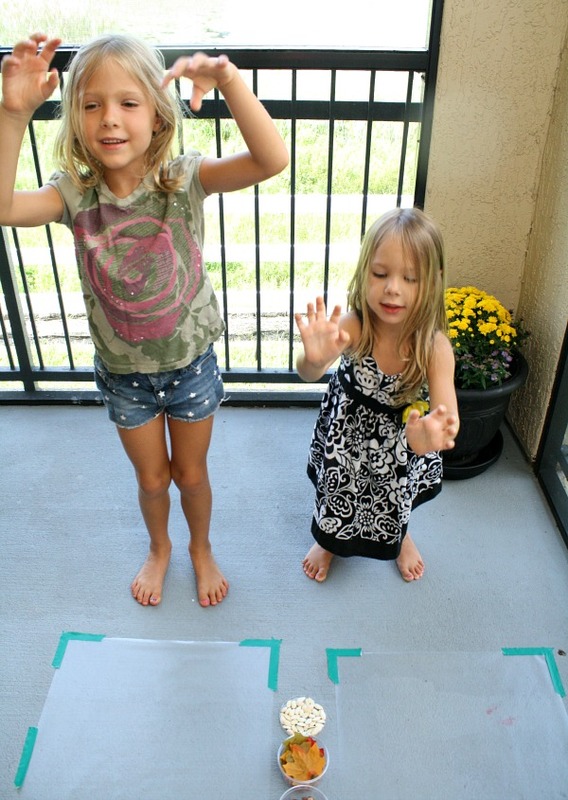 What a clever way to discuss weight with the littles!